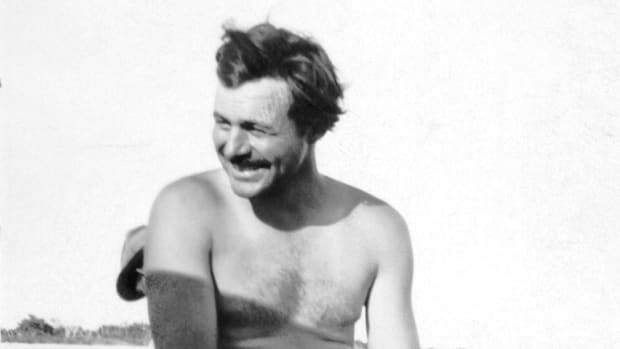 Editor’s Note: During World War II, Ernest Hemingway chose to start his own personal war on the wolf packs, German U-boats prowling the shipping lanes around his beloved adopted home of Cuba. 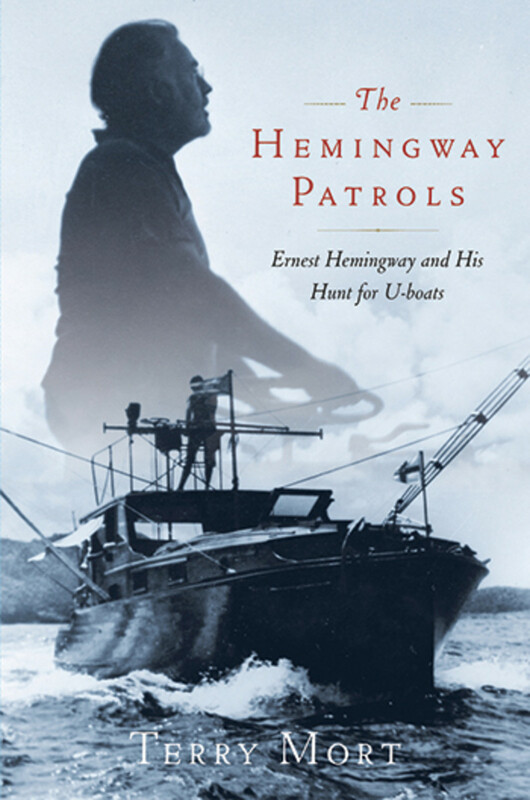 Excerpted from The Hemingway Patrols by Terry Mort. Copyright © 2009 by Terry Mort. Published by Scribner, a Division of Simon & Schuster, Inc. Reprinted with permission. 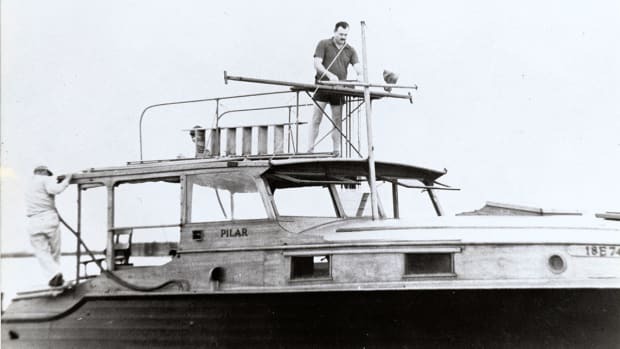 Handling Pilar, or merely being aboard her, was a pleasure for Hemingway, as it would be for any blue-water sailor, except when the weather was foul or threatening. 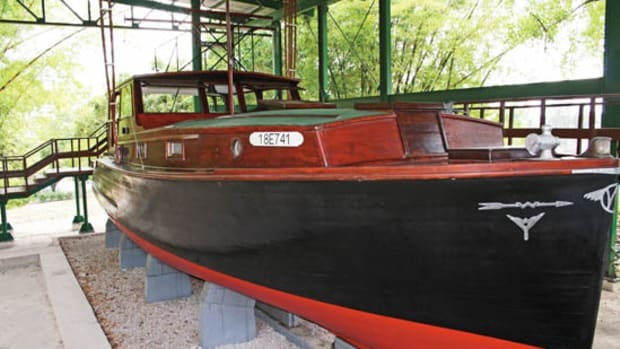 Pilar had a wooden hull, decks, and bulkheads—forgiving material that accommodated itself to the motions of the sea, smooth to the touch and comforting physically and aesthetically. And she had an open-air conning station on the flying bridge, a place to savor the sights and smells of the sea, a place where, barefoot, Hemingway could synchronize his body with the movement of the boat and let his imagination run loose for a while as he simultaneously kept his eye out for seabirds diving on frantic baitfish that could perhaps be fleeing from a marlin. Pilar’s outriggers were like antennae on some delicate aquatic insect, her wake foamy white against the blues and greens of the Gulf. Seen from afar or up close, she was a pretty thing. 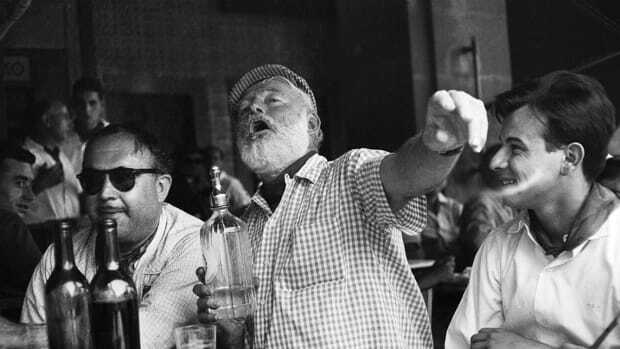 Small wonder that Hemingway named her after a lover. By contrast, U-boats did not have names, only numbers.1 (Some individualized themselves with designs painted on the conning tower, much like the devices on a knight’s shield.) Nor did they have much in the way of creature or aesthetic comforts. A warship of any kind, surface ship or submarine, is first and foremost a machine. Seen from a distance, it is easy to romanticize the beauty of a Navy ship or submarine cutting a creamy bow wave, an elegant haze-gray silhouette—and no sailor would disagree with that image. But any sailor would also know that on board the ship, within the ship, the human element largely gives way to the requirements of the ship itself, the machine—the endless miles of cables overhead, and vents and steel bulkheads and steel decks, heavy watertight doors and hatches that seal off men working in a magazine or gun turret or engine room, where the smell of fuel oil and the myriad valves and gauges, the oppressive heat and the deafening sound of the powerplant, make life uncomfortable on the best of days. Just about the only soft thing on a warship is the sailor’s bunk, and he will tell you he doesn’t get to spend nearly enough time there. At least on a surface ship a sailor can enjoy the sea breezes on weather decks. 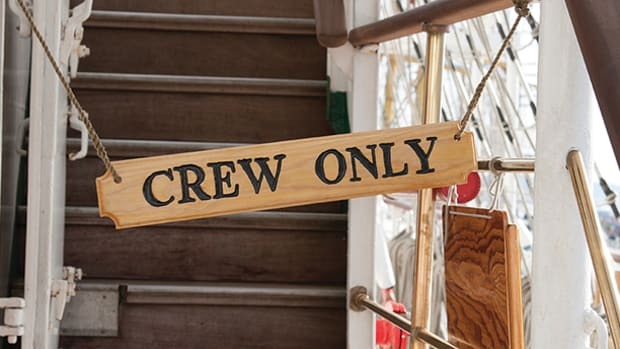 Not so in a submarine, for the main decks, narrow and slippery, are dangerous places to work, while the confined area of the conning tower leaves little room for anyone other than the men standing watch. The workhorse of the German submarine fleet was the Type VII. During the war 568 of this type of boat were commissioned. While boats in this class varied slightly, their general characteristics were basically the same. Each boat carried fourteen torpedoes and could fire them from five tubes—four in the bow, one in the stern. On deck was an 88 mm gun, for which the boat carried 220 rounds of ammunition in a waterproof magazine near the bow. Some were also equipped with antiaircraft machine guns later in the war, when it became clear to everyone that the airplane was the chief menace to the U-boat. 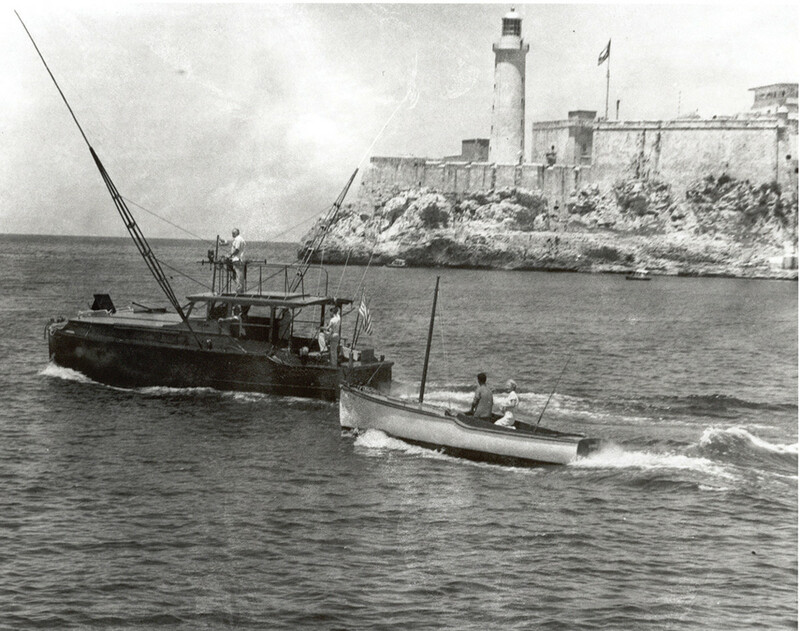 The Type VII boat’s top speed was almost eighteen knots on the surface and something less than eight knots submerged, and it had a range of eighty-five hundred miles at ten knots on the surface but only eighty miles at four knots underwater, after which point the batteries had to be recharged, which meant the U-boat would have to surface. This was a critical factor in antisubmarine warfare—the job started with and depended upon vigilant surveillance. No one knew when or where U-boats would surface, but all knew that they would have to surface sometime, and so the more eyes that were watching, the better the chances of engaging and destroying the U-boats. 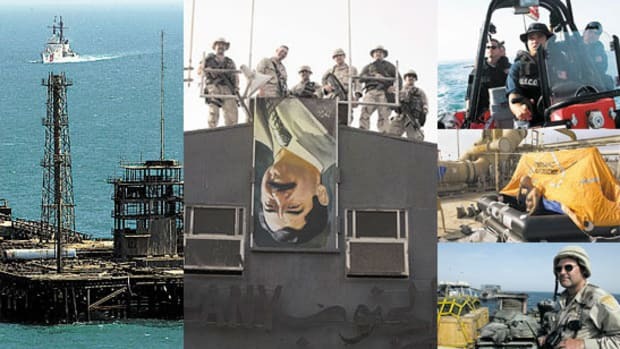 Surface ships and boats, volunteers and military personnel, civilian and military aircraft, fixed-winged aircraft and blimps—anything that could float or fly was pressed into service to be on the lookout. 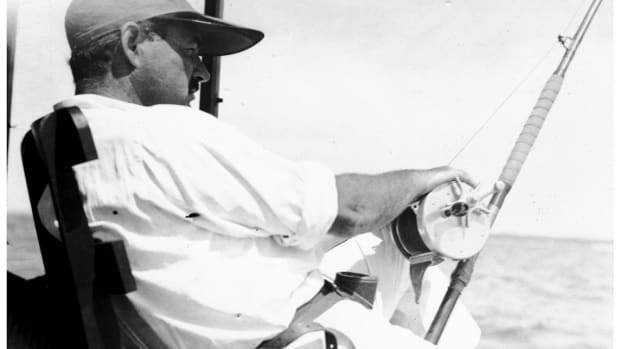 The mission of these surveillance crews, Hemingway’s included, was not simply to wander around the Gulf hopelessly looking for periscopes. 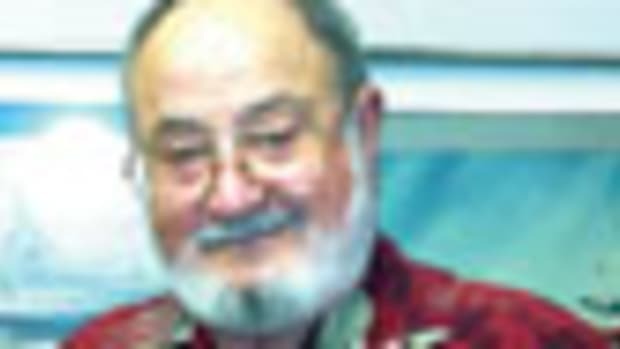 The mission was to patrol a sector and to be on hand if and when a U-boat came to the surface. Sighting was the opening act of battle, followed by communication to headquarters, dispatch of ships and planes, and finally, attack. The Type VII was 67 meters (about 218 feet) long overall but only about 50 meters long within the pressure hull—the actual interior living and operating space. The width or beam of this space was 4.7 meters. 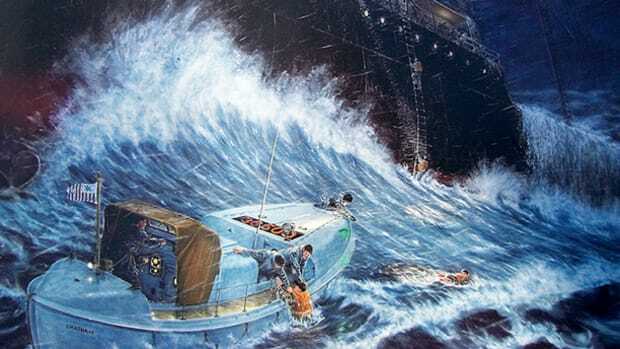 That’s roughly 15-plus feet—narrow enough to be sure, but the crew of fifty men or so did not have the luxury of even that much elbow room, for the interiors of the boats were lined with lockers for storage, bunks, compartments, so that the actual passageway down the center of the boat was a mere few feet. The aft third of the boat housed enormous diesel engines that allowed only a couple of feet passage between them. Those given to claustrophobia were not suited for the submarine service. Comfort was something you left in home port. The maximum diving depth of the Type VII was 722 feet according to its design specifications. At that point the seams in the pressure hull—the inch-thick cylindrical steel skin that is the true hull of the sub—would begin to weaken and, at some undetermined lower depth, collapse, crushing machines and men alike. In the Gulf of Mexico and the Caribbean, though, it was different—at least early in the war. Convoys were not the norm, and many independent-minded merchant ship captains steadfastly stuck to their preference for sailing alone. What’s more, in the comparatively constricted waters of the Gulf, where extensive shoals restrict the navigable waters, it would not be hard for U-boats to find shipping targets. So the U-boats did not come in packs, but rather singly, and started to arrive at the end of April 1942.